It has come back AGAIN! ... and is free! Sadly the day became a victim of its own success when it proved impossible for volunteers to continue to deliver such a popular event, within the physical constraints of the Fairlands location, to the public safety standards demanded today - and to keep it free too. 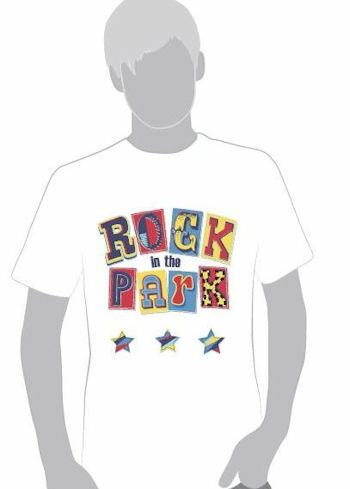 But many people, including the Festival, have never given up on being able to bring back something like Rock in the Park to Stevenage. For the past three years Stevenage Borough Council has worked with local recording studio The Practice Roomz to introduce a music stage to another well-loved local event - Stevenage Day. And last year Stevenage Festival joined with them to inject a bit more of the old Rock in the Park magic. So, last year, it was in a park (albeit a different one), it was free and it had a great rock line-up. We brought together the best of our local music talent on two great sound stages, finishing with a great headliner to close the event with up and coming Hertfordshire band Room 94. The Music will be very wide ranging in style from psychedelic Ska to Heavy-ish Metal. We'd like to get bigger and better in future years - more bands, more facilities, but we can only do this and keep it free if we all work together. If you loved Rock in the Park last year then please support us this year with this further step towards building it back to its past glory. If you think Stevenage needs events like this then tell your friends, tell your local Councillors, tell everyone! Keep up with what's happened on our Facebook page: www.facebook.com/RITPStevenage and also have a look at our photo galleries for the Main and Acoustic stages.